Is there a better alternative to Tetra? Is Tetra really the best app in Finance category? Will Tetra work good on macOS 10.13.4? 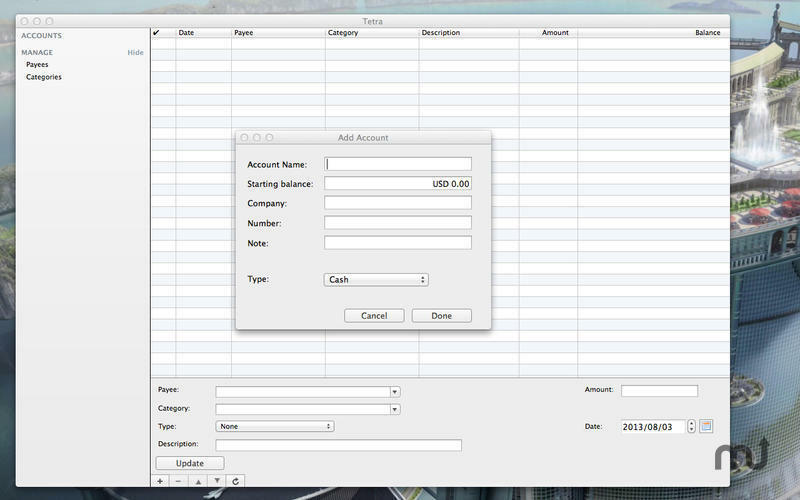 Tetra is personal accounting software for everyone! Manage daily income and expenses without difficulties. Keep track of your company's or your family's expenses and incomes with this easy-to-use app. Tetra is the easiest way to balance your expenses and income. 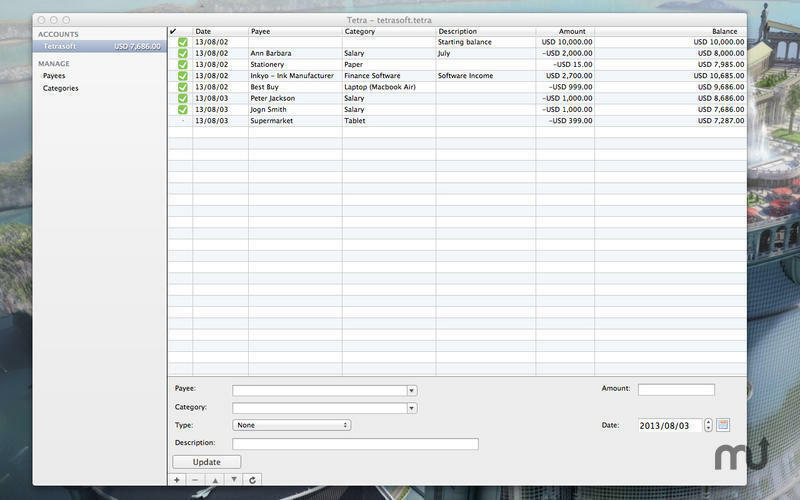 It allows you to create separate categories and multiple accounts. Tetra needs a review. Be the first to review this app and get the discussion started! Tetra needs a rating. Be the first to rate this app and get the discussion started! Tetra helps you to track how you are spending your earnings.